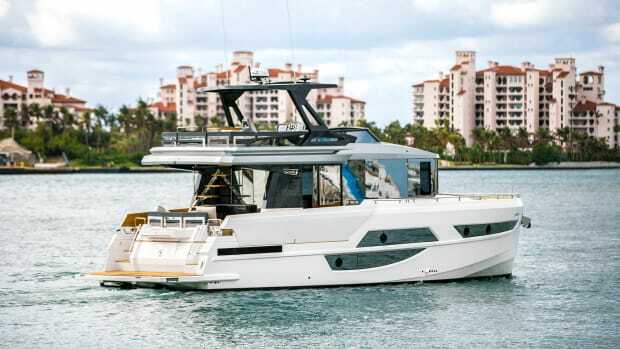 While the Nimbus 405 has a sport-boat look, she boasts several built-in cruising features. Chalk it up to my Scandinavian roots, or to the many similarities between Scandinavian and Pacific Northwest boating, but I was impressed by the Nimbus 405 Coupé the second I laid eyes on her. 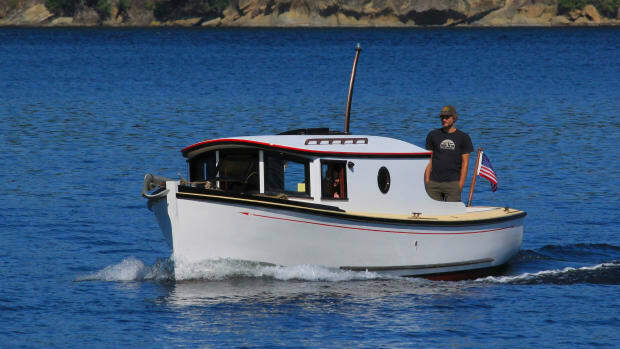 I’m a sailor at heart, and while the bulk of my power cruising experience is with the stout and sturdy tug and trawler world, Nimbus designs feel like they borrow from many classic styles. 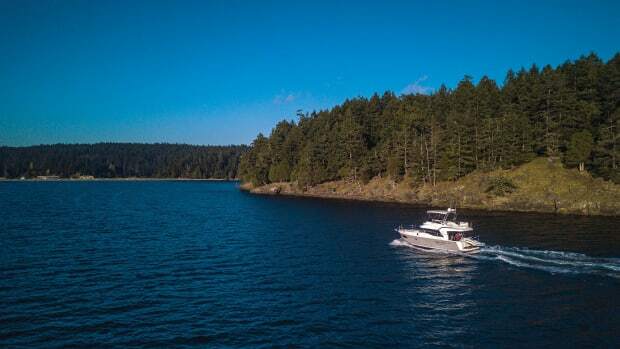 The Nimbus 405 is designed for cruising, that is for sure, but she definitely leans toward sport-boat styling and performance. Nimbus knows how to build a boat and has been doing so since 1968. 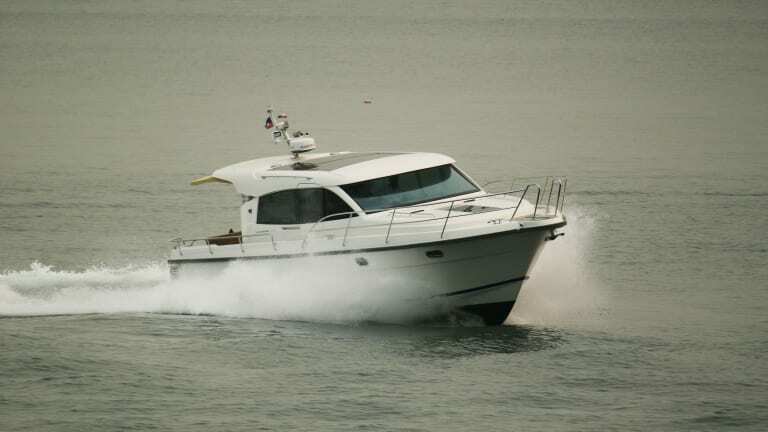 The Nimbus 405 has distinctly European lines that are both modern and classic. And while decidedly a coupe-style design, the boat has a level of stoutness and cruising appeal, even from the dock, thanks to an oversize swim step, large aft cockpit, and spacious glass-enclosed saloon. Going aboard confirmed my suspicions that the 405 Coupé was a wolf in sheep’s clothing as she had a clear cruising layout beneath her simple, straight-line Swedish design. The most noticeable design feature is that the cabin house is offset to the port side, leaving a skinny port-side deck. This creates room on the starboard side for a comfortably wide passage that allows you to walk easily from bow to stern. A sliding door opens at the helm station, making the boat easy to single-hand as the pilot can step out from the wheel to manage lines as the boat eases into the dock. With plenty of large windows and a skylight, indoor living on the 405 feels like outdoor living. From both the dock and inside the boat, you can’t help but take in the open, airy saloon. 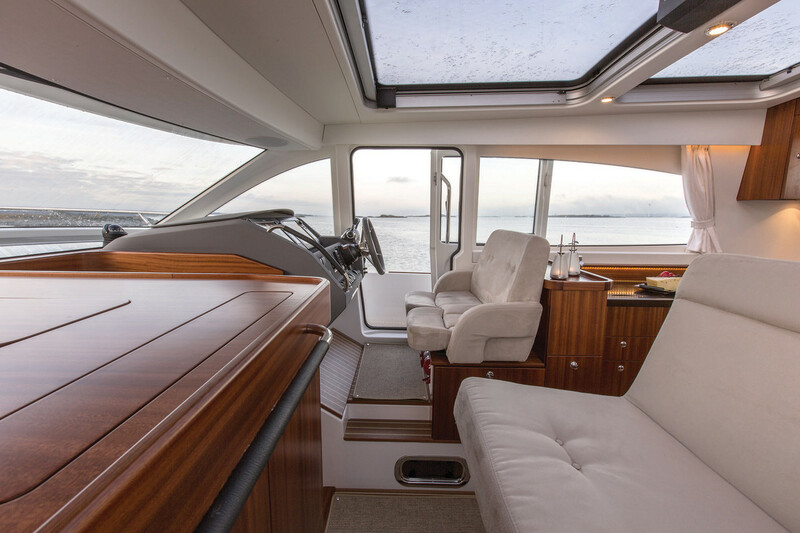 The Nimbus 405 sports a beautifully wide, curved, and uninterrupted windshield. Windows run down both the port and starboard sides but save a little space at the after end of the cockpit where you will find the galley. Overhead windows help fill the saloon with light and make you truly feel like there are no walls between you and the outside world. (And one can appreciate the need to maximize the natural light this way, especially in the far northern latitudes of the boat’s origin.) But the fixed sunroof panel has a great blind system if you need to block out the harsh sun at midday, and the forward panel retracts to allow plenty of fresh air to circulate through the house on warmer days. A look at the spacious swim platform and aft cockpit. Stepping aboard the 405 is done from the spacious swim platform. It’s big enough to easily stow a tender, and it houses a built-in fender rack that folds aft to expose a large stowage area in the stern bulkhead of the cockpit. 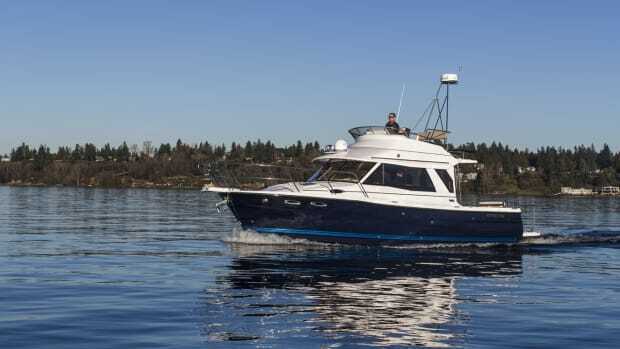 With a built-in swim ladder and well-designed shorepower cord stowage, the after three feet of the boat hint at the sort of attention to detail that you will find throughout the Nimbus 405. The sizeable cockpit features a large table that expands to seat eight people. In addition, the cockpit table electrically lowers to settee height and, while still expanded, accepts a cushion to create a sun lounge large enough for multiple guests. This makes the cockpit the go-to hangout on a nice day while running at speed or anchored in a quiet cove. 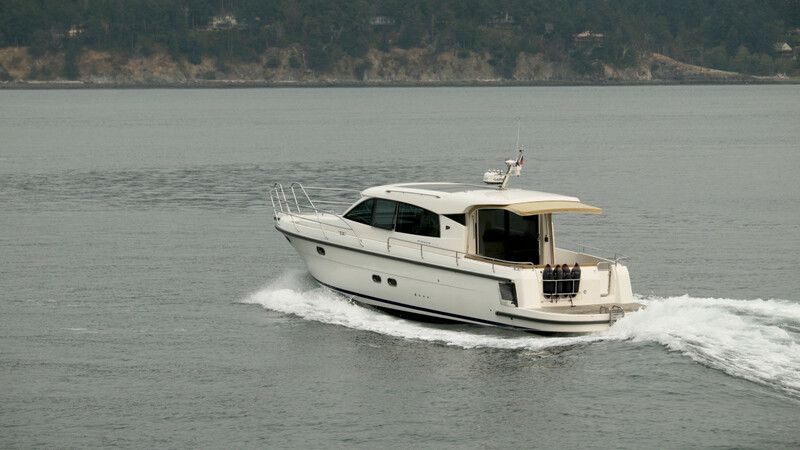 With room for two, the 405 helm feels comfortable and natural. The companion bench also fits two, but with limited legroom. A sliding door opens into the saloon, and it can be left open to extend the living space into the cockpit. 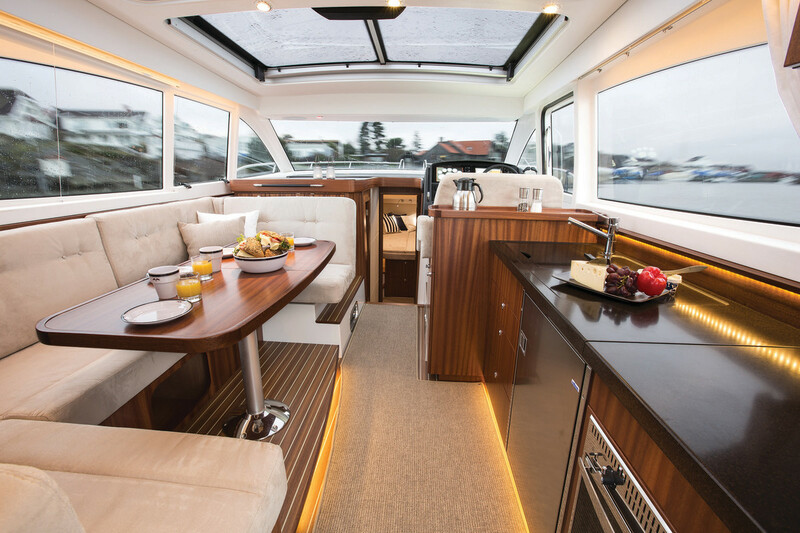 The saloon of the Nimbus 405 is noticeably Scandinavian with its sleek lines, open feel, straight edges, modern look, and simple, functional design. The U-shape settee on the port side can easily seat six to eight people. The settee surrounds a sizeable table with a forward section that transforms from dinner table to cocktail table, complete with cup holders. The classic straight galley features a single, under counter refrigerator but ample counter space. The induction cooktop is kept below a section of the countertop, providing extra storage and workspace when not in use. There is an extra drawer refrigerator under the settee as well, so you won’t have to get up for another drink. Forward of the galley, the helm station has a full array of Simrad electronics in a low-profile dash that doesn’t impede visibility (a Garmin option is available). The helm station seats two on a comfortable but supportive loveseat-style bench. All controls are easily accessible while seated, standing, or even operating with one foot out the helm door. The forward stateroom features great natural light with an oversized skylight-style hatch. Descending a few stairs you reach the three-cabin accommodations. The master stateroom is forward and features an en suite head. The two nicely sized guest staterooms share a guest head. One distinctly Scandinavian feature is the hanging wet locker in the common hallway between staterooms, which allows you to hang your rain gear over a surface designed to allow for drainage. While a small feature, it is one that shows how seamanlike the Nimbus is. 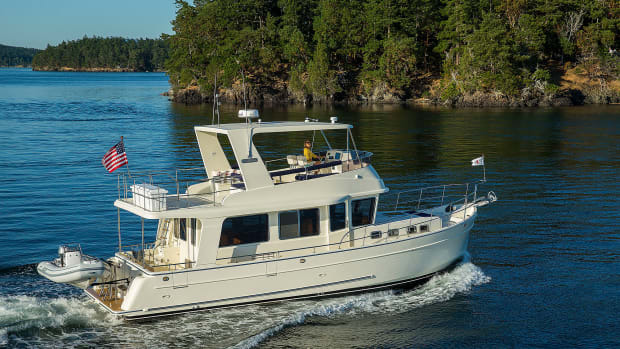 I took the helm of the Nimbus 405 in Fidalgo Bay and was pleased with her responsiveness. While the steering was a little heavy, she tracked solidly and carved into and out of turns well. The automatic Humphree trim/list system helped keep her from leaning into turns, and it kept the boat level as I accelerated from idle to WOT. Because her dual Volvo Penta D4-300 engines with V-drives are way back aft under the cockpit sole, the boat is quiet, even while running at high speed. We registered levels between 50 and 75 dB(C) between idle and WOT. This makes the only detractor to conversation at WOT not the engine’s noise but the fact that you’re hurtling along at 28 knots. Birdseye of the Nimbus 405, exterior. 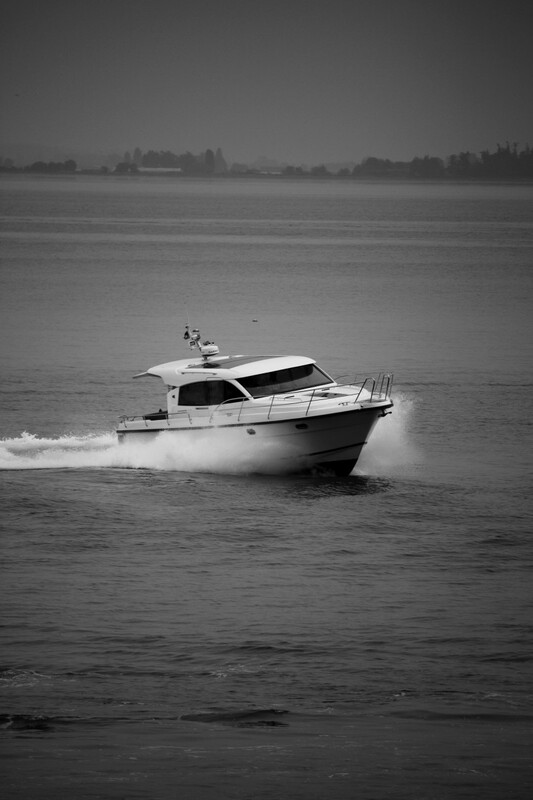 Fuel consumption was lower than expected for a boat that does a high cruise around 22 knots and 28 knots at top speed. 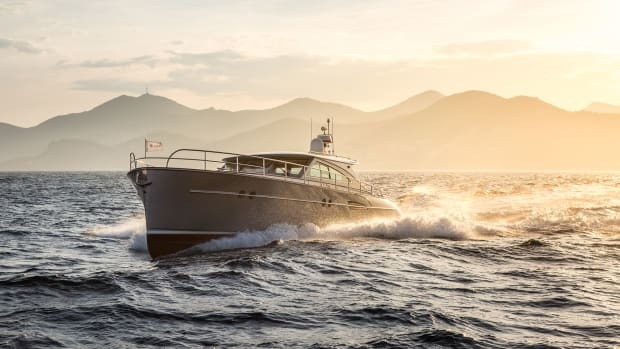 The Nimbus 405 starts to balance comfort and fuel economy between 8.5 and 11 knots, where she got nearly two nautical miles per gallon. For the same fuel burn at max speed, we were netting just under one nautical mile (0.9 to be exact). Overall the boat felt just right at 17 to 20 knots, where she still burned fuel fairly efficiently. Nimbus 405 upper level cutaway. 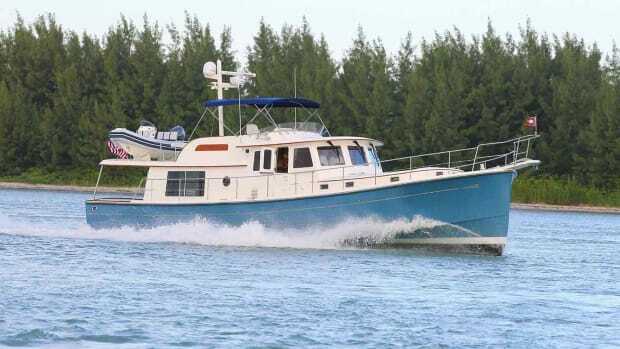 With the combination of the wider starboard deck, a sliding door at the helm station, and twin screws, docking the Nimbus 405 was a dream. Her stout body and low profile kept windage to a minimum, and her advanced technologies made docking a breeze, even in a tight space along a face dock. Nimbus 405 lower level cutaway. A few hours on the Nimbus 405 left me wishing I’d been able to cruise her for a week or more. She has that sleek, sophisticated European look, but once aboard, it’s clear that she is a traveler and cruiser at heart. While perhaps lacking name recognition in the United States and Canada, Nimbus is a tried-and-true designer and builder. 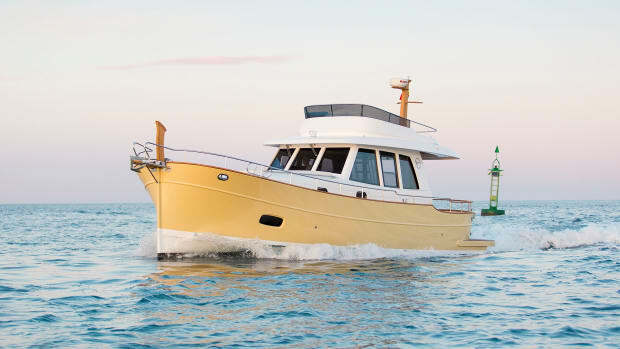 Nimbus Yachts started in Sweden in the late 1960s and has sold more than 4,000 boats since then. Today Nimbus boasts a wide variety of models that are popular all over Europe. 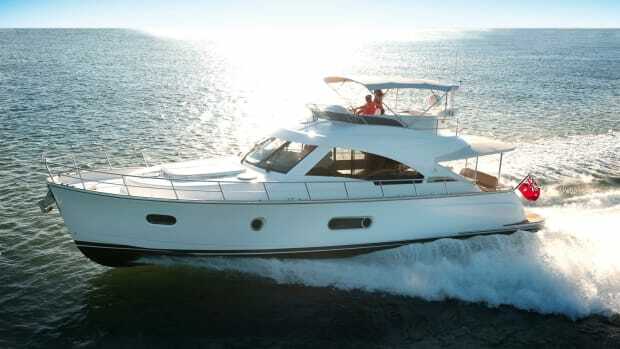 Their 305, 365, and 405 Coupés (including a 405 flybridge option) constitute their cruising series. The 405 won a Best of Boats Award in 2014 and was nominated in 2015 for European Powerboat of the Year, so my draw to this boat clearly has a basis in something more than my genetic bias.